The author, Dee Copeland, with her parents, Bob and Pam Black. 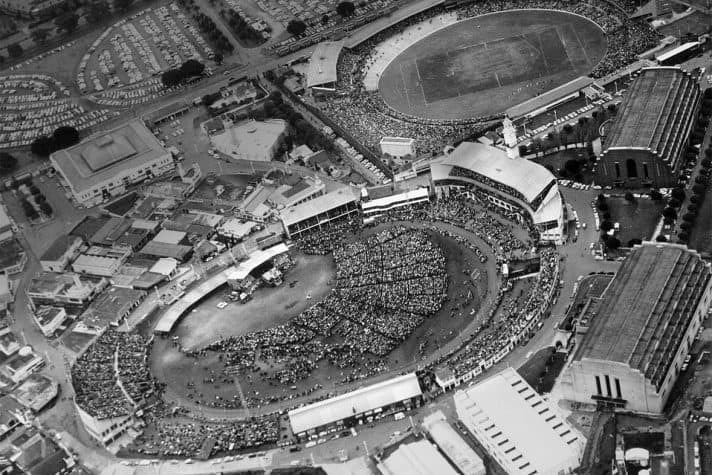 Dee still remembers the day nearly 60 years ago when a Billy Graham Crusade in Sydney changed her family’s life. I am 71 years old now and a widow, but I have lived a wonderful life! My husband and I brought our four children up in a Christian home, and each one has accepted Jesus as their Lord and Savior, and they continue the legacy as they worship Him in their own churches with their own families. I am blessed with 10 grandchildren who also love God and follow His ways. He is a generational God, and I continue to praise and thank Him for loving my family and me.